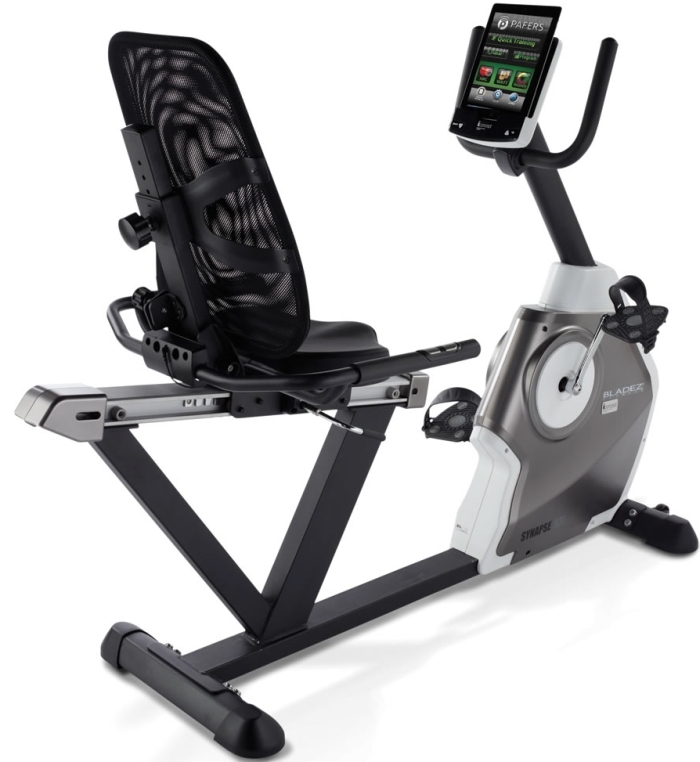 This is the recumbent exercise bicycle that integrates a pedaler’s iPad to help make workouts more entertaining and challenging. A dock on the bicycle’s monitor positions an iPad, iPhone, or iPod touch for optimal viewing while using one of the bicycle’s 26 built-in programs that cover everything from warm-ups to endurance training. In addition to using your iPad to listen to music, check e-mail, watch movies, or play games as you pedal, you can download exercise apps that log your training sessions, storing workout results on the app’s website. The bicycle’s adjustable mesh-back seat, padded ergonomic handles, and large foot pedals ensure comfortable pedaling of the smooth magnetic resistance drive with 24 intensity levels.